My book of Marian baby names! Are you all as much a fan of St. Rita as I am? Like St. Jude, she’s a patroness of desperate and impossible causes (among other things), and I’ve seen her intercession bring about some pretty amazing, nearly miraculous things, both for myself and for others. Since St. Rita’s given name was Margherita, and Rita a nickname for it, then any of the Margaret names can honor her. And after her husband and sons died, St. Rita joined the Augustinian nuns of St. Mary Magdalene Monastery, so Magdalene could work too. Like the mama in the July consultation I mentioned above, you could certainly use the name Pearl, since that’s what Margherita means. In addition to meaning “pearl,” the Italian Margaret variant Margherita is the name for the daisy flower in Italian, and the French Margaret variant Marguerite is the name for the daisy flower in Italian. St. Rita’s known as St. Rita of Cascia, and I think Cascia would be a pretty cool way to name a little girl after her. I say it KA-shuh, which is similar to established first names Kasia and Cassia. … which makes me think that even Charlotte itself could be an unexpected honor name for St. Rita. I have loved and shared many times the story julianamama told of the family she knew who named their son Garrett after St. Margaret, and that would work for St. Rita as well. One of St. Rita’s sons was named Giangiacomo, which is a combination of two names—Gian (a short form of Giovanni=John) and Giacomo (James, Jacob). St. John the Baptist was one of her three patron saints, and when her cause for canonization was being pursued, her story was compiled by an Augustinian priest named Fr. Jacob Carelicci. Her other son was Paolo, which makes Paul a good option. When I’m looking to honor a woman in a boy’s name, I often look to her dad’s name for inspiration. St. Rita’s dad was Antonio, so Anthony and its variants could work. For those looking for something unusual, Pope Urban VIII beatified Rita — one of our regular readers has an Urban! Pope Leo XIII canonized St. Rita, so a great idea there as well! Not only did St. Rita join the Augustinian nuns, but St. Augustine was one of her three patron saints, so Augustine would be a great possibility. St. Nicholas of Tolentino joined St. John the Baptist and St. Augustine as her third patron saint, so Nicholas works as well. And those are my ideas! What about all of you? Can you think of any other names that could honor St. Rita? I just had my baby girl yesterday, and we named her Rita May. Rita after St. Rita and my husband’s grandma. May was my grandma’s middle name and it is also Marian. We lost both of our grandmas last year. They lived devout lives and lived into their 90s! That is so lovely! Congratulations. This is so sweet! Thanks for sharing, Carly. Congratulations Carly!!!!!!!!!!!! What wonderful news!!!!!!!!!!!!!!! And I LOVE LOVE LOVE your little girl’s name, and the significance behind it — so wonderful!!! I was just thinking of the name Rita because it’s one of the Spanish nicknames for Margaret (and I’d been thinking about Margaret and my husband is Spanish). But then it actually came up in conversation with my husband as we were talking about names we can’t use for our future babies based on hurricane names!! Obviously Harvey is out for many reasons as both of our hometowns are under fire right now, but Hurricane Rita devastated my husband’s hometown in 2005 and he said it was off the table. Sad day! To ME, it doesn’t seem like a big issue — especially because of St. Rita and her powerful patronage. I feel like she can redeem the hurricane name in ways that others can’t be reclaimed, you know? Oh wow, yes I was thinking recently how hurricane names are just ruined for so many people, and I totally get it. I love how you said though that “she can redeem the hurricane name in ways that others can’t be reclaimed”! I think it’s true! Hurricanes are pretty impossible causes. But maybe I’m more open to reclaiming the name because *I* didn’t have to evacuate home for a month during my senior year of high school, haha. That’s true, I’m sure that colors one’s perspective! Also, Rose is a possibility. 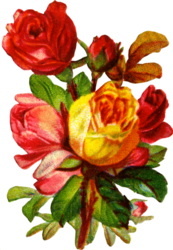 There are rose miracle stories associated with her and she is often depicted with a rose. Oh wow, I love the idea of Rosarita!! But I’m not familiar with the food company, haha! And Rose is a great addition to the list! And meant to say, I think you covered the possibilities really well – so many options. It was fun to think of them all! St. Anne, patroness of this blog, pray for us. 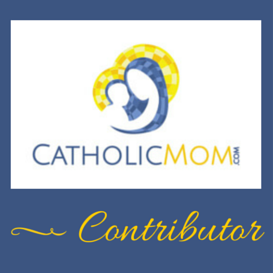 Find me at CatholicMom.com and Nameberry as well, writing about -- you guessed it! If you're looking for Marian baby names, you've come to right place! Order your copy of my book Catholic Baby Names for Boys and Girls: 250 Ways to Honor Our Lady from Shop Mercy! I contributed a chapter to The Catholic Hipster Handbook! Order your copy here. Birth announcement: Helena Faustina James! Birth announcement: Damian Nicholas Elijah and Isaac Anthony Cosmas! Birth announcement: Basil Anthony Philip! abc family (Arwen) A Blog About Miscarriage Adoption Androgynous(ish) names Angelic names Appellation Mountain Awesome initials Baby name consultant Baby Name Wizard Biblical names Birth announcement Boy-turned-girl names British names Campos-Duffy Camp Patton Catholic Catholic baby names Catholic Baby Names for Girls and Boys: Over 250 Ways to Honor Our Lady Catholicism in culture CatholicMom.com Catholic surnames Christmas names Confirmation names Dibs Dominicans Flower names French names German names Giveaway Green bean Happy Nest Home Goods Holy Name of Jesus Instagram @SanctaNomina Irish names Italian names Jesus names JPII Literary names Mama Needs Coffee Marian baby names Marian names Mary Men Who Love Mary Middle names Miscarriage My Child I Love You Nameberry Name stories Name writing Naming twins Nature names Nicknames Papal names Personal stories Pope Francis Powerful patrons Prayer Intentions Proper pronunciation Proper spelling Religious name change Rosary names Royal names Scandinavian names Scottish names Simcha Fisher Spanish names SSA data St. Anne Surnames Swistle Time Flies When You're Having Babies Twitter @SanctaNomina Virtue names Will and Kate Zelie & Co.
Sancta Nomina is a participant in the Amazon Services LLC Associates Program, an affiliate advertising program designed to provide a means for sites to earn advertising fees by advertising and linking to amazon.com. Start shopping! Read my reviews of each book here.